If you were in the right place at the right time last January, you might have enjoyed a very intimate concert by Stevie Wonder. Local singer-songwriter Grayson Erhard was wailing away at Wonder’s classic “Superstition” from the small stage in the lobby of the Anaheim Marriott during the Winter NAMM Show. As Erhard plowed through the song, Wonder heard him and made his way over the stage, joining him on a couple of verses (and helping him remember a few of the lyrics, though Erhard can be forgiven if he seemed more than a bit surprised). The episode reminds us that live music performance stages are popping up just about everywhere now. Anywhere you can raise the floor a few inches and run a few mic and speaker cables has become a potential performance space. (Including Southwest Airlines’ flights out of Nashville — the airline, which has been treating passengers to pop-up mini-concerts in the skies for a while, formalized an agreement last month with Warner Music Nashville to showcase WMN performers as part of their Live at 35 in-air concert series.) 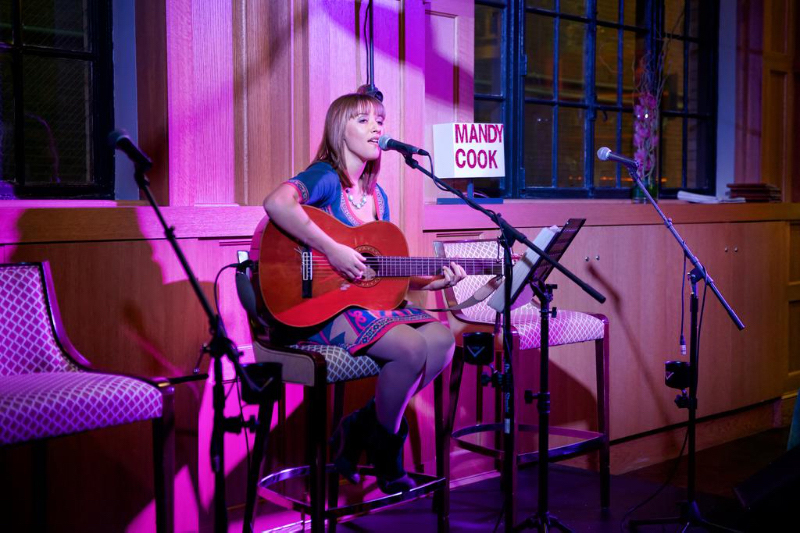 And Marriott is running a series of mini-stage performances at its hipster-oriented Aloft Hotels subsidiary. This year, they’ve turned it into a full-blown tour, Live At Aloft Hotels, hosting local artists and label-signed up-and-comers under the mentorship of country artist Gavin DeGraw. As cities use music festivals and conferences as tourism touts, hotel lobbies are increasingly becoming integrated into the local live-performance infrastructure. Where the CMJ Conference once used New York’s network of small clubs as its performance spaces, artists can now be heard and seen in many of the hotel lobbies in downtown neighborhoods. And there are more hotels than ever in which music can play. At Indie-music meccas like Portland, OR, nearly 3,000 new rooms are in the development pipeline or have recently opened — a 40-percent increase. There, hotels are using live music as differentiators in the competition to attract younger guests. Properties like the Ace Hotel locations in New York, Pittsburgh, New Orleans and Los Angeles have performance spaces scattered within them. Nashville already has a number of properties that feature live music in public spaces, such as the touring-musician favorite Hotel Indigo, and the Westin Nashville’s velvet-roped 27th-floor rooftop bar. A Virgin hotel is planned with both a live-music venue and a recording studio. Austin, the “other” Music City, has live music-ready lobbies and other public areas in the new Hotel Van and SoCo Hotel properties there, as well as in the W Hotel, which is adjacent to the city’s flagship music venue, Austin City Limits Live. The trend also has its incestuous side. The music industry is creating its own internal live-sound infrastructure, the way it used to build hi-fi listening spaces in executive suites. Earlier this year, talent agency William Morris opened a performance space at its 12th Avenue South office location in Nashville, where new bands can showcase their talents and established artists preview new material for management. The venue was designed to emulate a high-rise amphitheater, says Everett Lybolt, general manager of the Nashville office of Sound Image (which also has its own private performance and showcase venue in its west Nashville facility). The 1,200-square-foot performance they designed seats 60, with SRO for 200. The space is built over two floors: the 14th floor hosts a 24-by-20-foot stage, and the transition between the 14th to the 15th floor is used for seating. It can be viewed from the glass atrium on the 15th floor looking directly down to the 14th floor stage. 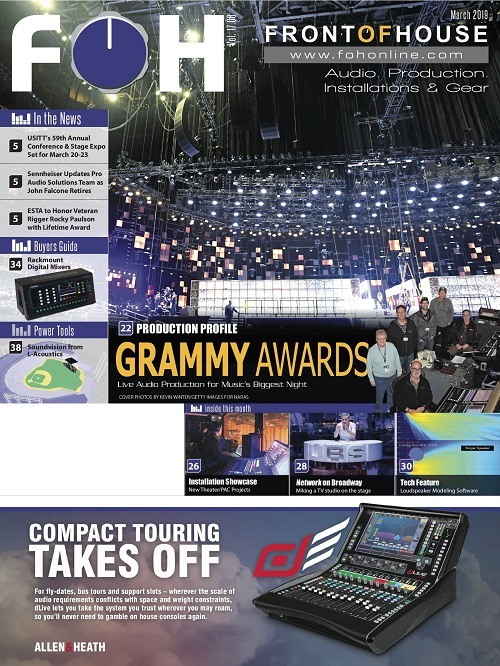 The sound system comprises three Nexo GEO M620 boxes per side, one Nexo LS18 sub per side, two NXAmps, and four self-powered Yamaha DSR112 monitors, along with a Yamaha TF console at front of house. In a similar example, Universal Music Group’s headquarters in Manhattan just installed an L-Acoustics Kiva II line array in its lobby, which hosts special events and intimate performances. Each four-box loudspeaker hang in the left/right line array is matched by three SB series subs. 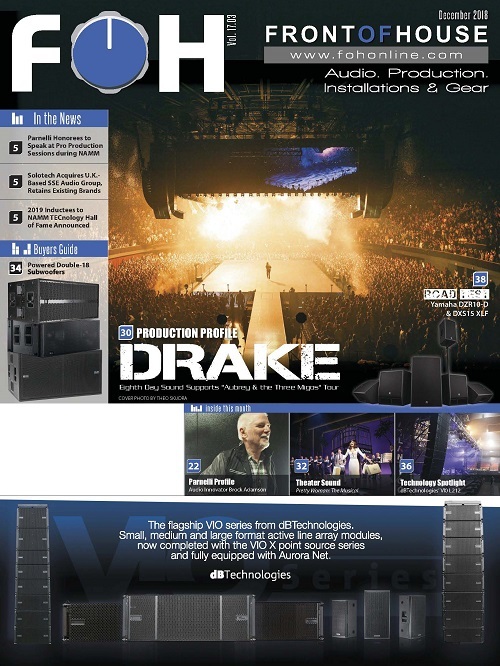 The system’s high ratio of subs to main boxes reflects the emphasis on bass in hip-hop and contemporary pop music, says Randy Taber, owner of RMT Production Services, which built out the lobby venue along with a smaller performance area on the building’s ninth floor with a small Nexo PA PS15 system with single-18 subs. Almost as hard to get into is the new iHeartRadio Theater New York, an intimate, 200-seat space, with tickets to shows reserved for iHeart’s own subscribers, the bands’ fan clubs and other exclusive channels. 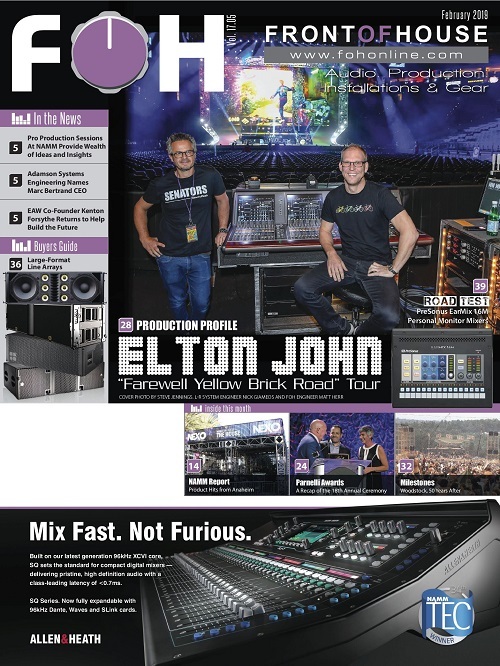 The venue has hosted a steady stream of A-list music artists, from Mary J Blige and Ed Sheeran to Train and Pitbull, who play an L-Acoustics ARCS II system. And mimicking the evolution of touring, the theater was specifically designed to record the shows performed there. It was built to deaden reflections rather than use them to create the typical ambience of a concert hall. That can get added with a plug-in later. All this is a boon for SR providers and sound equipment manufacturers. 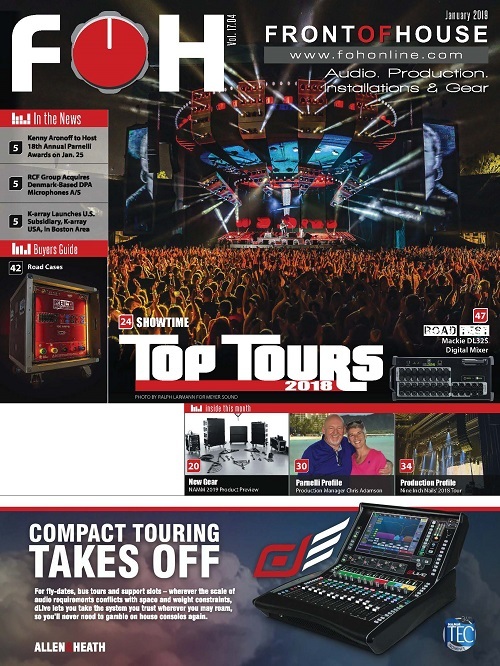 It creates an installed-sound infrastructure with an emphasis on sonic quality, and we’re seeing top-tier brands showing up in these spaces. Unlike the private venues that labels and other media companies are building, which few “civilians” will ever see the inside of, the hotel lobbies at least bring this enhanced level of sound to a larger audience. 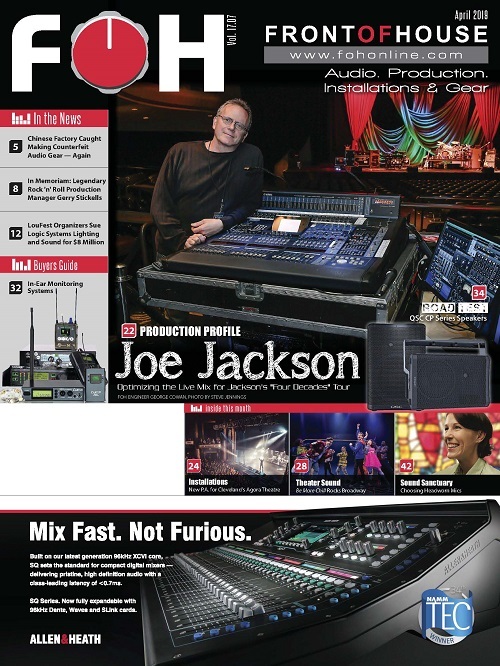 And while auto-mixing technology is getting remarkably intuitive, the phenomenon is still creating new jobs for audio professionals. It might be a double-edged sword, though. The growing ubiquity of live music might be approaching a saturation point — there’s been a nascent trend lately in the hospitality industry towards creating quieter spaces in hotels in response to complaints of near constant noise as lobbies become more like marketplaces. But if the world is becoming a noisier place, we can take come comfort in the fact that at least it’s much, much better-sounding noise these days.